My sister-in-law Nancy (brother Ed's wife) celebrates her ? ?th birthday this week. Nancy, this card is for you! This card was stolen almost in its entirety inspired by a very cute note card I received last spring from Cristi Burton, who dedicates her adorable blog to her FIVE little monkeys "cupcakes", Alyssa, Alyvia, Aubrey, Aleczander, and Autumn. ...in other words, I've "regifted" the card. 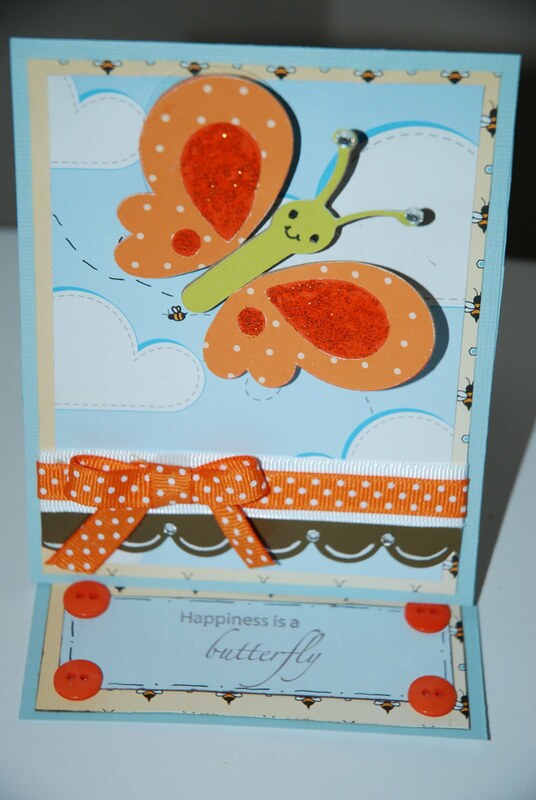 Actually, what I did was lifted off the cover and greetings right off the card Cristi made and sent to me. You can read about her original card on Cristi's blog by jumping to http://scrappin5littlecupcakes.blogspot.com/2011/03/my-pink-stamper-pink-alicious-blog-hop.html. 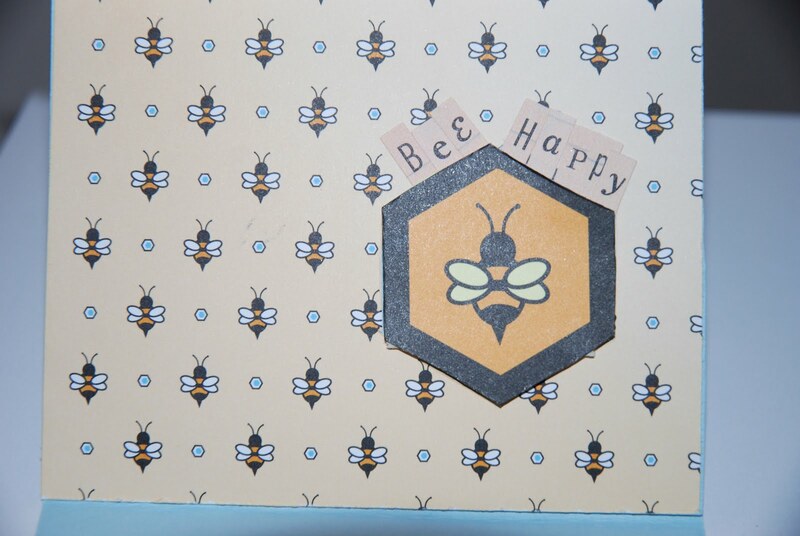 Cristi included the card with the niftiest bunch of paper I won from her during a Blog Hop. 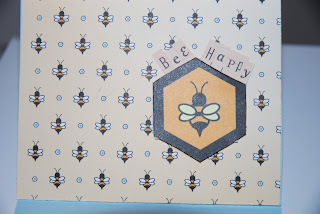 The hop, card and blog-candy paper introduced me to Nikki Sivils Scrapbooker paper that I just ♥ love. Auhhh, you are so sweet Ellen! I always love being an enabler, lol. I love the way you reused the card too, it looks so cute! I love the ribbon you used and the inside. Great idea to reuse the card! It is beautiful!